406-763-1083 - Celebrating 28 years of Gallatin River Adventures...! Daily.Times vary and we will let you know when a reservation is made. $99 3 of 5 Day Adventure Pass - The best value is the 3 of 5 day pass which allows for unlimited use of the Park for 3 days and includes come and go privileges on those days, all day. A great option for families staying in West Yellowstone! 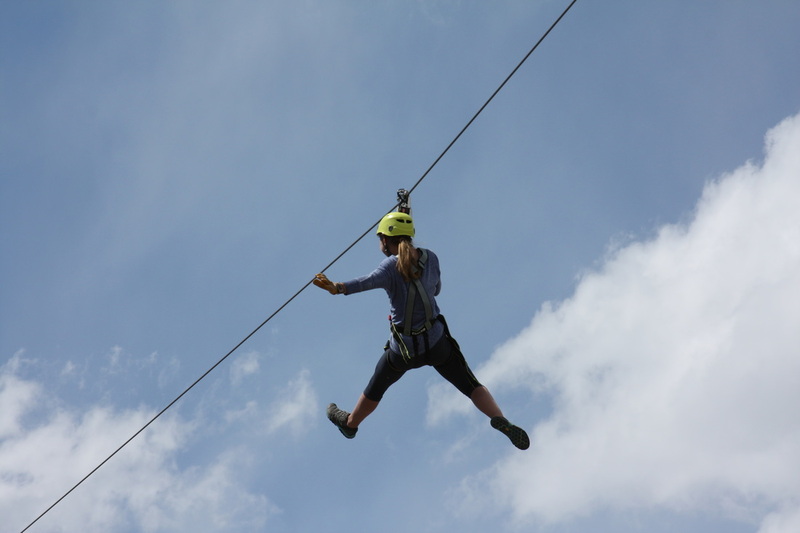 A bit tamer than the Adventure zip, the Nature Zip Tour lasts about two hours and features 4 ziplines. You're quite a bit closer to the ground and traveling slower so if you are nervous or really afraid of heights, this might be the tour for you. Kids 6 to 12 must have an adult over 16 or join a guided kids group, $15 per hour per child.